As it gets colder I start looking for leggings and tights for my little girls! Lucky me got a free pair to review. Check out my Doodle Pants Review! Whether running havoc on the playground or dressing up for an impromptu dolly tea party, these are the perfect pieces for play. 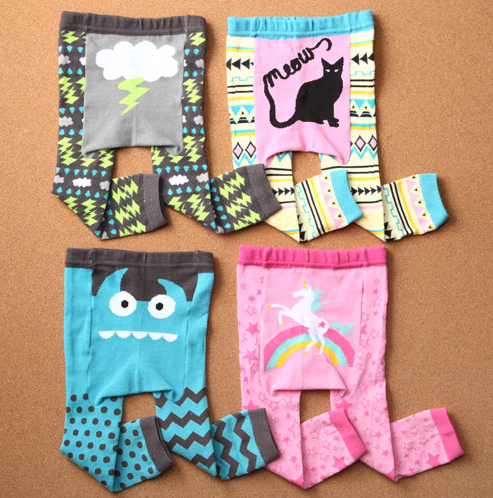 They are also super stretchy and even though they are sold for up to 2T they will get a long use out of them because my little Lilly is a 4T. Doodle Pants is an exciting collection of quality leggings with colorful patterns, wild animal prints and charming original characters. They are made for children 3 months to 2T. They have both boys and girls styles. Doodle pants are super soft. We got the Mustache Print to try out. Although this isn't my favorite style in their store it works great with my daughters unique style. Their roomy seat is a little less roomy with a 4 year old wearing it but it still fits well. The leggings are thick so you can't see through them. They hold up well in the wash. They will accommodate even the chubbiest baby. The end of the leggings stay put and don't float upwards during the day. They are perfect for flips and babies who are crawling due to the super cute images on the seat. Looking for a pair of your own? Check out the Doodle Pants Website!